This study, first published in 1989, examines the social relationships and moral standards within the diocese of Chester throughout the seventeenth century. 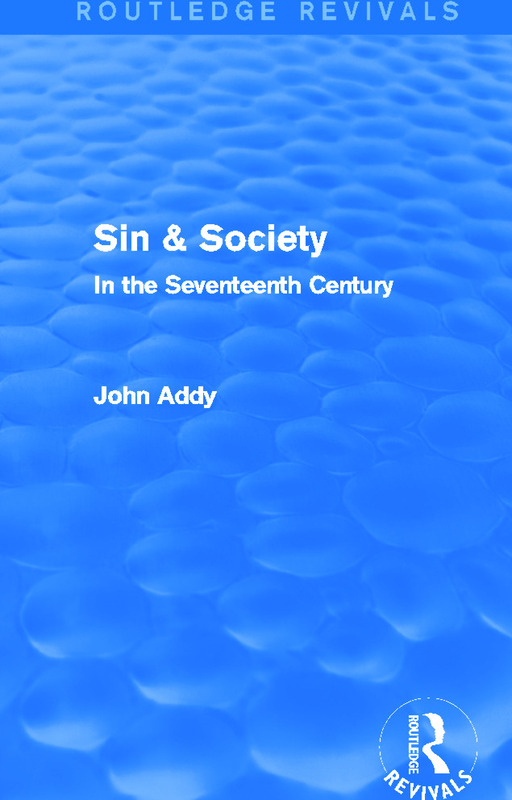 Using Church Court records as his main body of evidence, John Addy examines over 10 000 cases of moral offences, including fornication, brawling in church, drunkenness, adultery and concubinage, to form a picture of the moral conduct of the Stuart laity and clergy. One of the main methods by which the Church attempted to enforce strict moral standards, the records arising from the ecclesiastical courts reveal that those codes of conduct once applied to a medieval Catholic society were increasingly being shunned by a society with expanding capitalist attitudes. An important contribution to the historiography of early modern English society, this title will be of great value to undergraduate and postgraduate students with an interest in seventeenth-century attitudes towards morality and conduct.